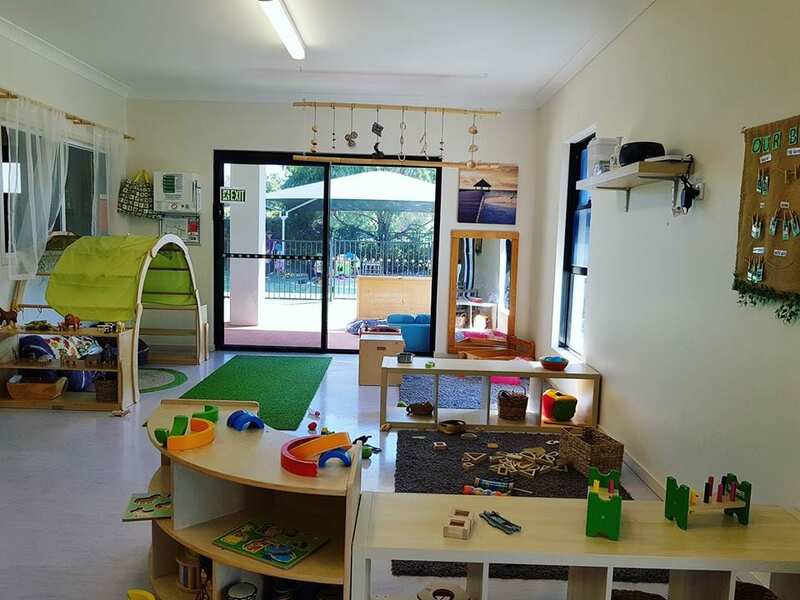 Goodstart Early Learning recently invited me to visit their Tapping Centre. The centre is located at 58 Clarkson Avenue, Tapping and has recently received an Exceeding Rating based on the National Quality Framework. 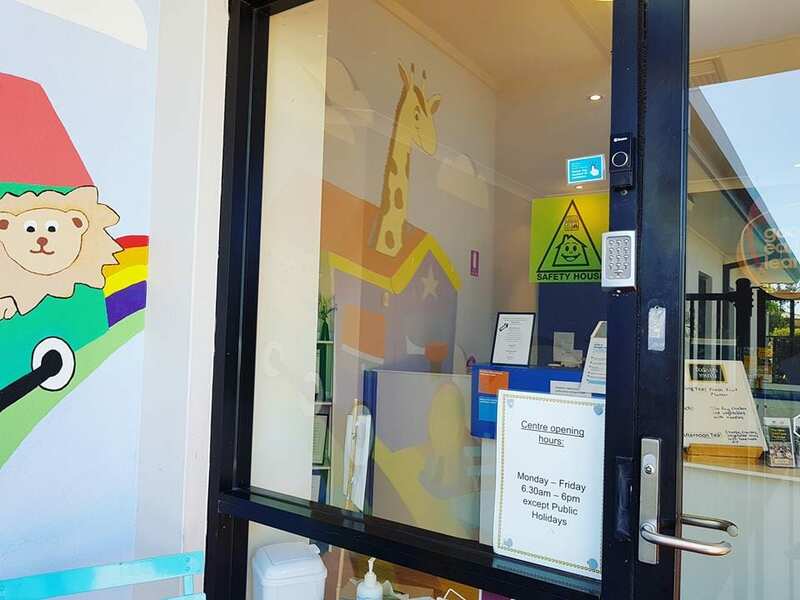 As a parent who uses child care services I was interested to see and compare Goodstart Tapping to my current provider – to say I was amazed is a total understatement, the size, facilities, set up and friendly staff blew me away! 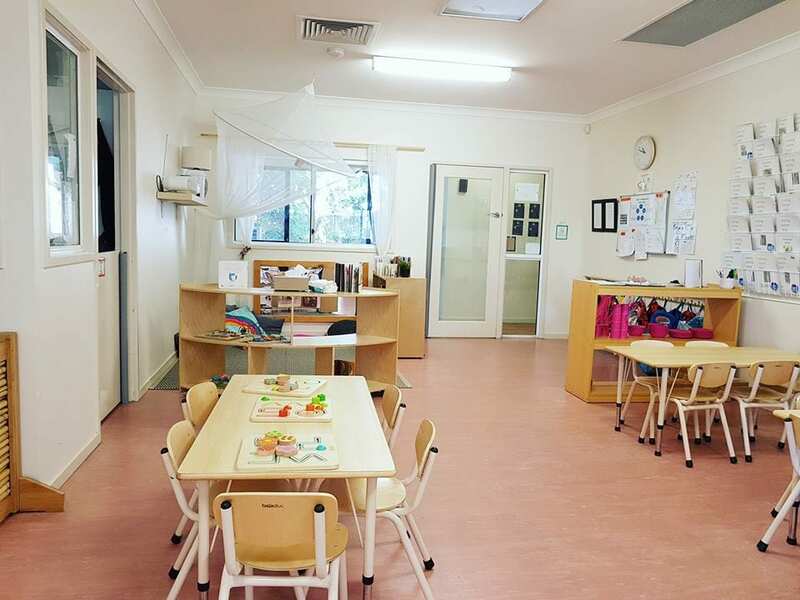 Goodstart Early Learning Tapping is a purpose-built centre with four large spacious rooms and shady outdoor areas for children aged six weeks to five years. As I arrived at the centre with my 1 year old, we were greeted by the Centre Director, Claire Stannard. 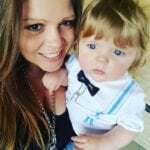 Claire is extremely friendly, straight away I could tell she is very passionate about working with children and parents, she was very informative and more than happy to answer all of my questions. 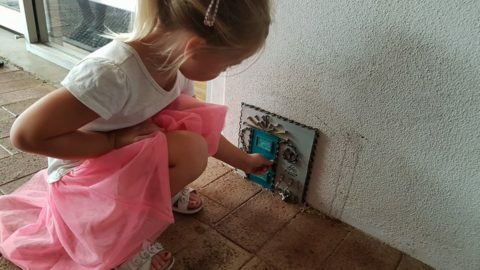 The front door is fitted with a keypad security system, parents can come and go through the locked door using a security pin number. There is an iPad in the reception area for parents to sign their child in and out of the centre. 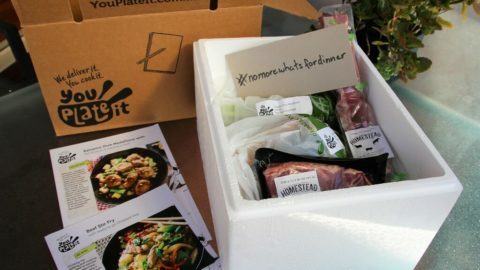 I also thought displaying ‘today’s menu’ is a fantastic idea. The babies room caters for children aged 6 weeks to 2 years. I loved this room as it felt very calm and homely which is perfect for little ones, straight away my son picked up a toy and started playing with the other children in the room. The cot room is a peaceful space, in addition to cots, there are mattresses on the floor to help little ones with the transition to the toddler room. 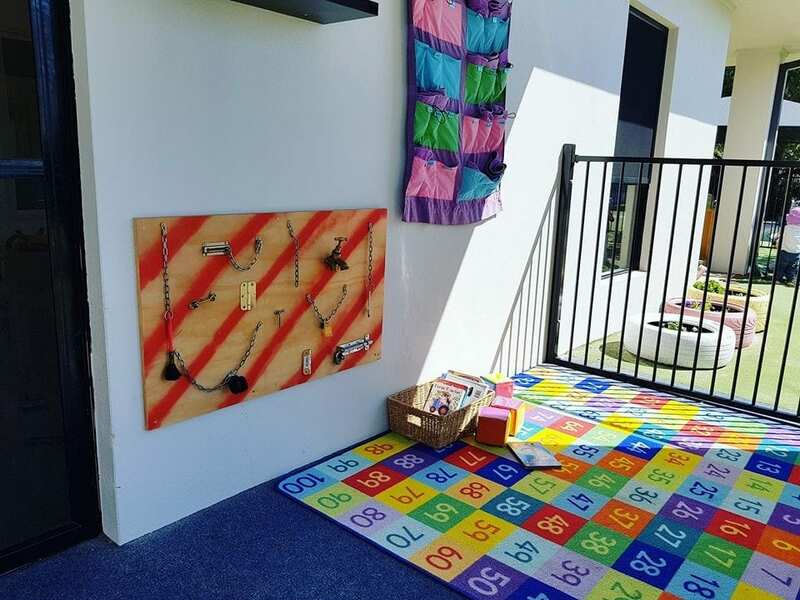 The babies room shares an outdoor play area with the toddlers, they also have a small fenced off area ideal for small children who aren’t yet ready to play with the toddlers. 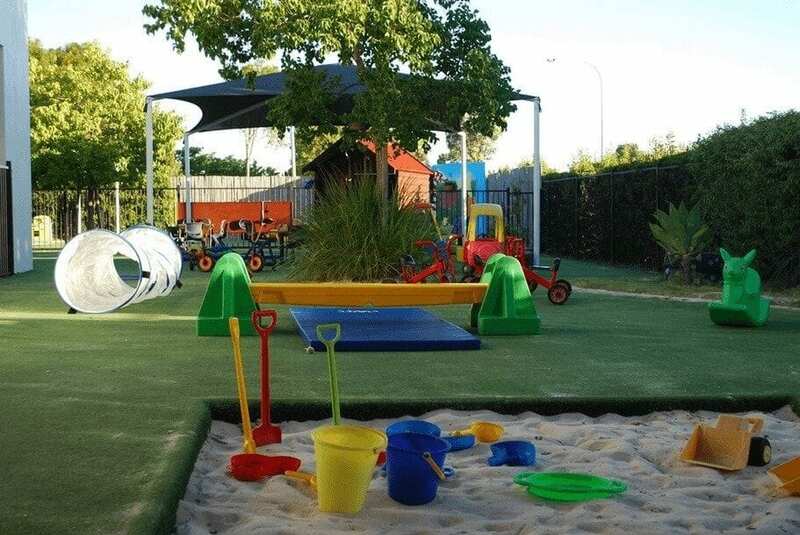 The outdoor play area is well shaded and includes a wooden cubbyhouse, sandpit, trikes and plenty of other equipment to keep young children busy. The toddler room is designed for children aged 2-3 years. 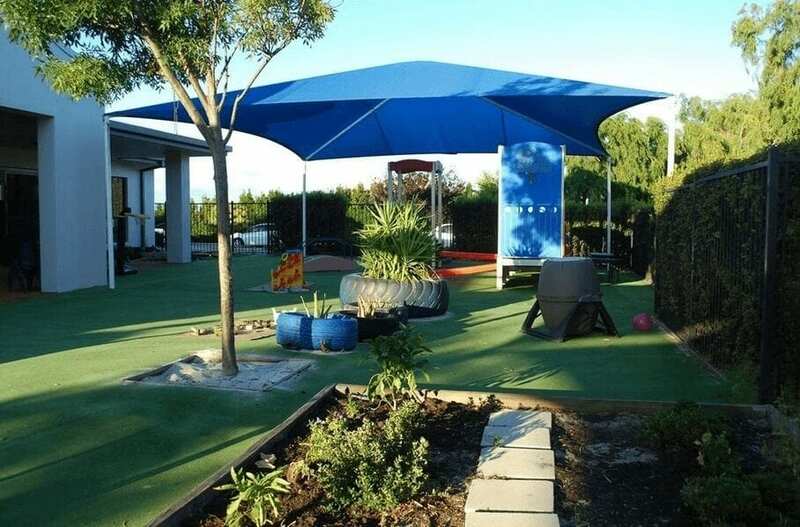 The room is very spacious and divided into lots of different exploration areas such as nature play area, book and relaxation corner, art craft and messy play which includes lots of sensory play, a home corner fully stocked with all you need in a play kitchen, manipulative play with cars blocks and trucks. The 3 year old kindergarten room focuses on teaching children self-help skills such as serve themselves and scraping their own plates at meal times, pouring their own drinks, being responsible for their own belongings and packing away their own bedding after rest. The children in this room also do lots of play-based learning. 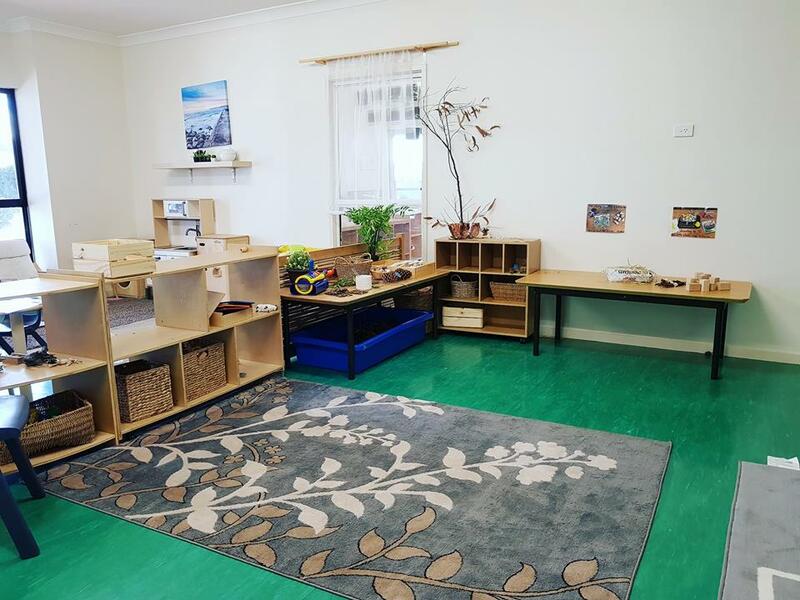 The 4 year old kindergarten room is geared towards helping children develop the foundational skills they need for a smooth transition to school. School readiness activities are based on literacy, numeracy, fine motor, cognitive and social skills development. Goodstart Tapping work with local schools to ensure their curriculum remains current. 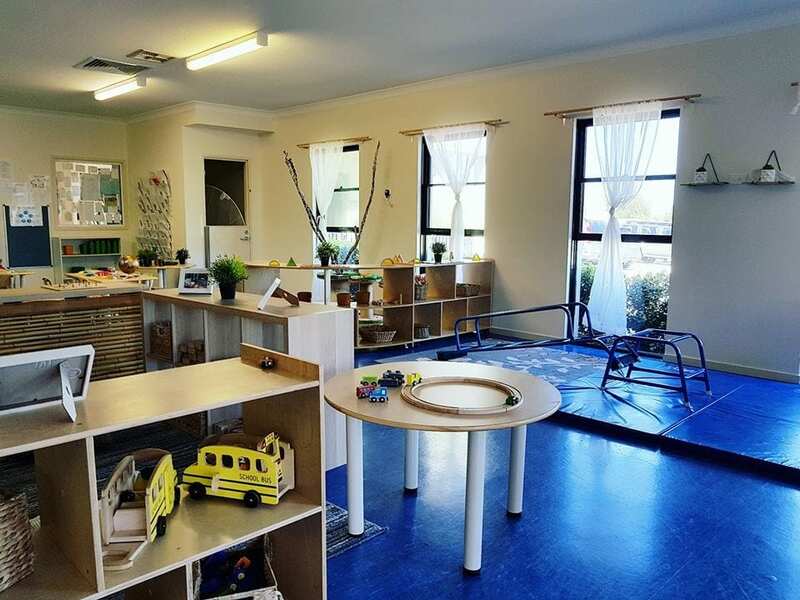 Both Kindergarten rooms share a common outdoor play space with traditional play equipment as well as nature play aspects. Children have the opportunity to learn skills such as kicking and throwing balls, climbing and balancing. 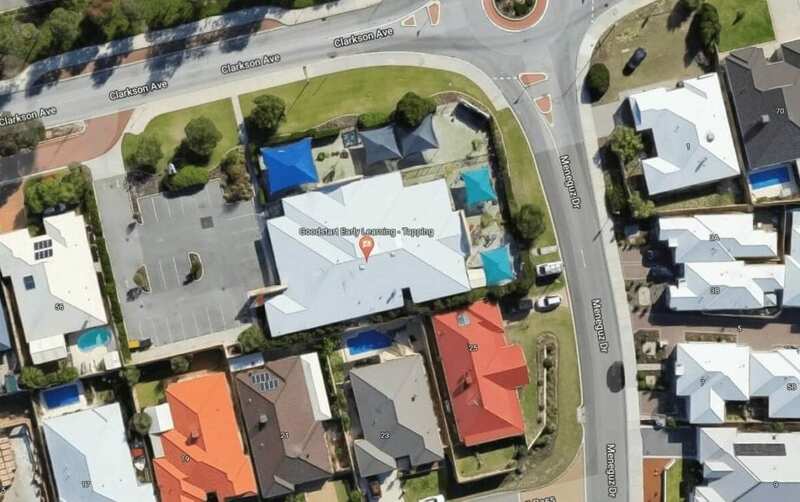 Each day the centre serves breakfast (for early comers), morning tea, lunch and afternoon tea. 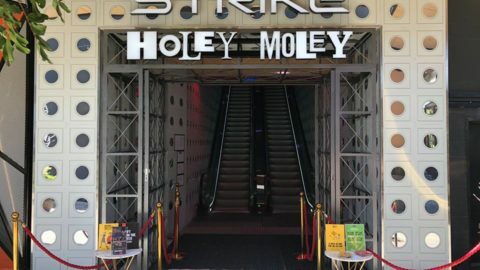 The menu is varied and meals are cooked from scratch, meals are adapted for children with dietary requirements such as food allergies, cultural and religious preferences and vegetarian diets. 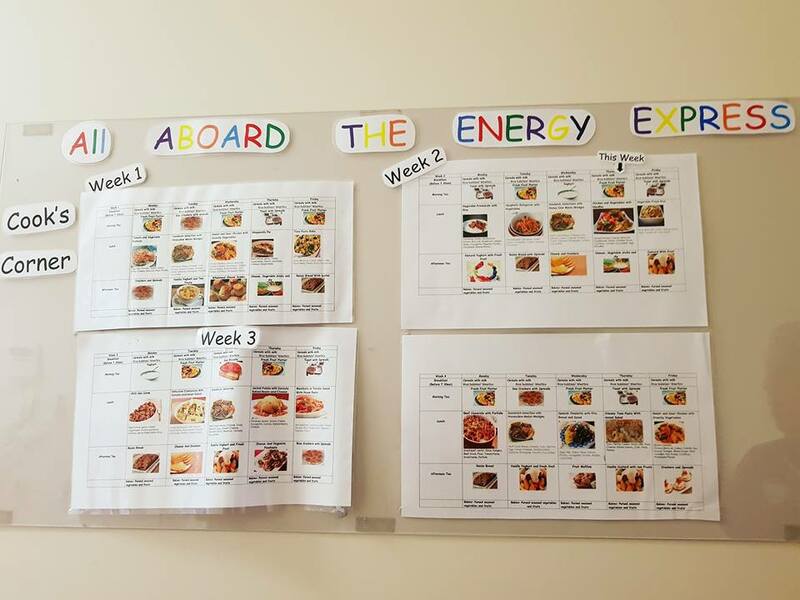 In addition to the ‘today’s menu’ displayed in reception, a four week menu can be found outside the kitchen. 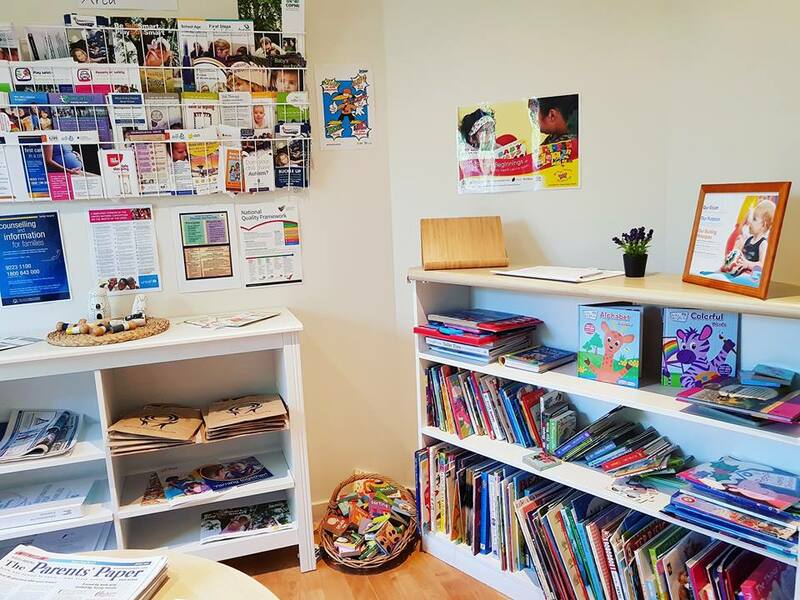 Another great addition to the centre is the Parents Room, the parent’s room includes a library where kids can borrow books to take home, the room can also be used for breastfeeding mothers or utilised for speech or occupational therapy appointment. The centre has a strong social inclusion program by linking to other professionals to assist children who made need extra support. 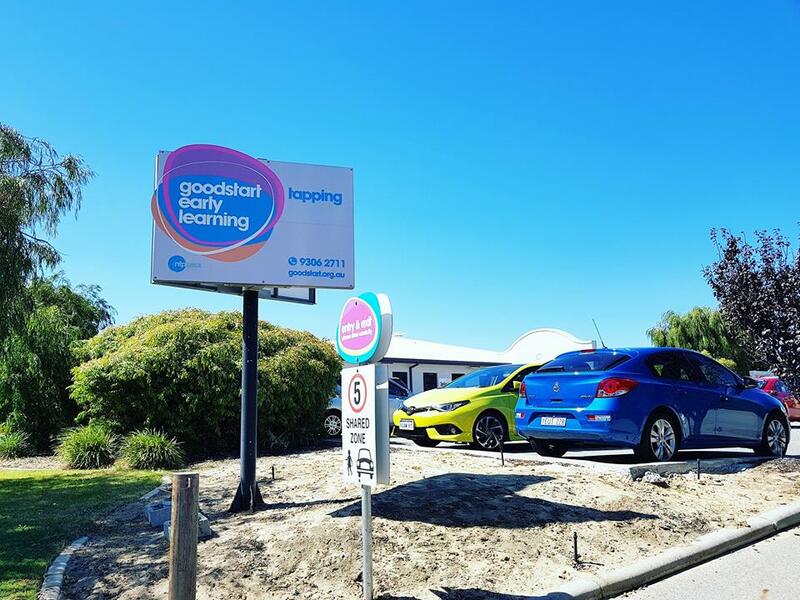 Goodstart Tapping has connections with Ngala & local parenting groups and offers families information nights on relevant topics for 0 – 5 years. 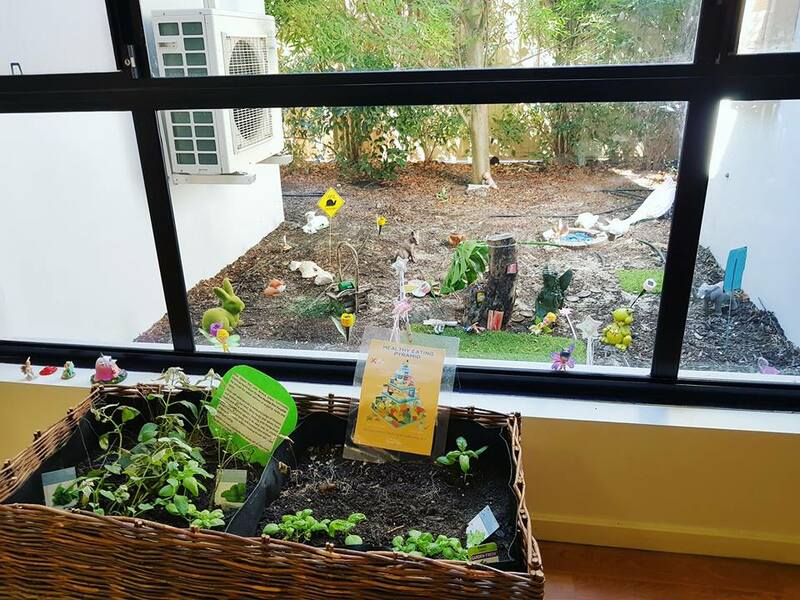 After suggestions from parents the centre created a fairy garden, children can leave their dummies in the garden for the Dummy Fairy, a great way of weaning the dummy a little less painful! 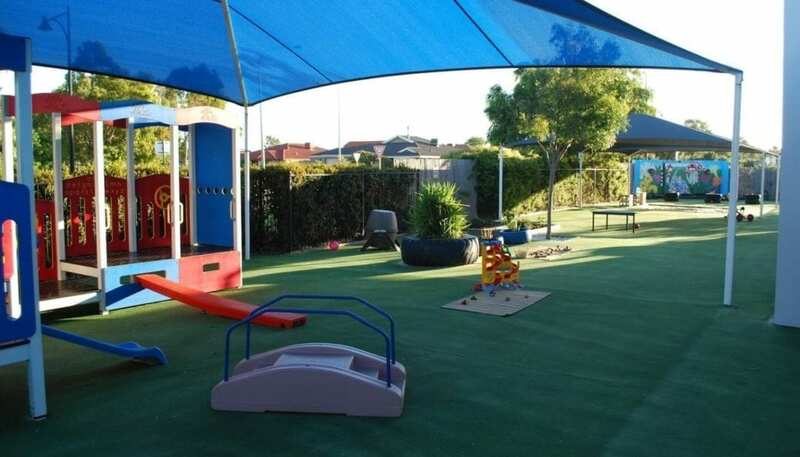 Goodstart Tapping uses Story Park to capture the children’s learning and development and showcases their play, environment, interests, abilities and achievements. 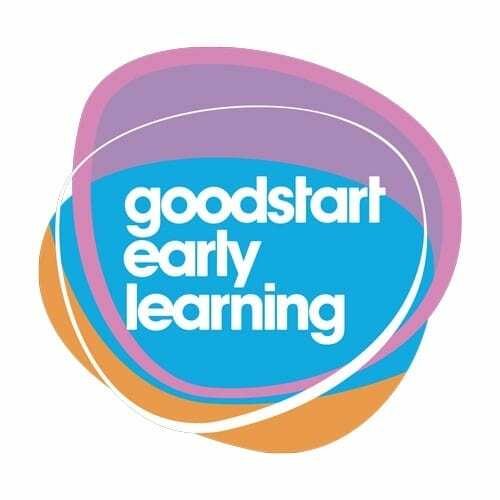 Goodstart Early Learning centres are a not for profit organisation where all surplus raised is reinvested back into their centres and staff training. Goodstart invests in the professional development and giving children access to teachers who are trained in world-leading evidence-based learning practices. 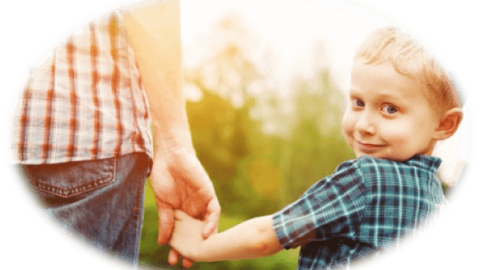 As well as ensuring all centre environments are safe and educational, Goodstart invests in our communities by welcoming and supporting vulnerable children through a number of programs and initiatives. 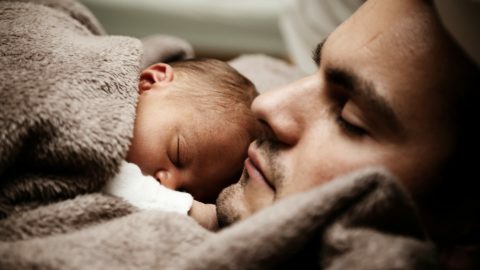 All staff are Diploma Qualified and on permanent shifts to ensure they provide continuity and a high level of care for children and their families. Overall I was very impressed with the centre and I would confidently send my own children there! 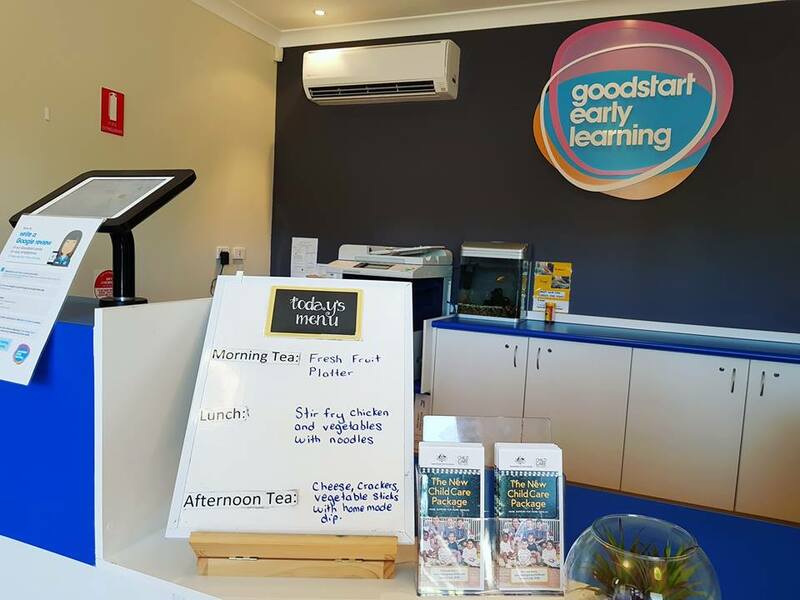 You can book a free tour of Goodstart Tapping or any Goodstart Centre online.